​I am passionate about systemic constellations and committed to inclusivity and creating a low cost gateway to the work from which many people around the world have benefited personally . I experience this resourcing work as strengthening connections between everyone and everything and believe it has a harmonising effect on the wider society and the environment. 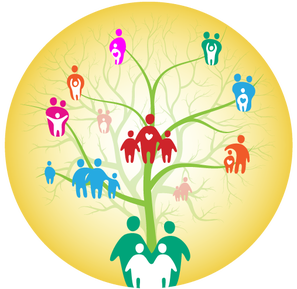 Trauma and Family Constellations offer a powerful method for finding resolutions to deeply felt issues – from personal and relationship issues to issues within families as well as all the different groups (or systems) that we are part of. In contrast to other approaches, which tend to view personal issues in the light of individual experience, systemic constellations view many personal issues as stemming from entanglements within the families or systems to which we belong and because the roots of such issues are often outside our conscious awareness, resolution can be very difficult to achieve without access to a systemic perspective. ﻿Systemic constellations workshops are for anyone wishing to create a better situation for themselves in relation to a troublesome issue in their life. Behind most troublesome issues we can find some sort of Emotional Trauma or upset. In my workshop I use the very effective methods of systemic constellations developed by Bert Hellinger and Professor Franz Ruppert. These are very active workshops where issues can be explored and hidden dynamics can become consciousness. In addition we will reflect on the role of attachment and trauma in our lives. Circumstances can arise in our lives that are very disturbing and debilitating, and have an impact on our mind and body. When we feel emotional overwhelmed by a situation the brain has an automatic trauma emergency response that is unconsciously activated. This emergency response creates structures that help us survive the emotional trauma, and carry on with life. ​However these structures, and the memory of the emotional trauma, are stored in our subconscious like an imprint and symptoms like anxiety and depression, eating and personality disorders, behavioural and relational dysfunctions and bodily symptoms can be linked back to previous emotional trauma. Systemic Constellations can be used to explore troublesome symptoms like: general anxiety, depression, eating disorders, phobias, sexual difficulties, insomnia, and personality disorders. Other issues such as bereavement/loss, abuse, addiction and dysfunctional relationships can also be the focus of sessions using this therapy.